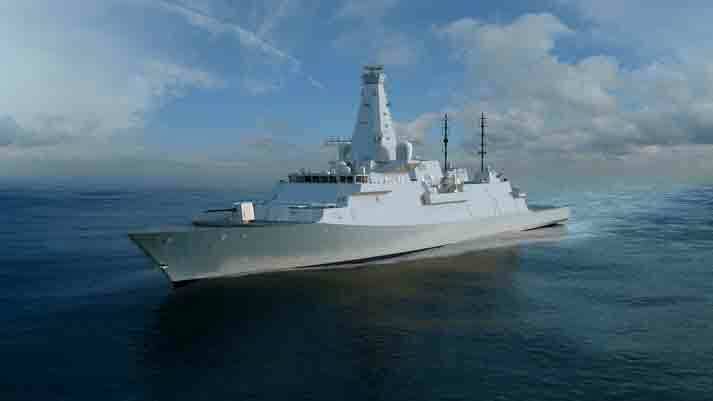 Steel on the first Type 26 Global Combat Ship will be cut later this month after the UK Ministry of Defence announced on the 2 July that it had awarded a contract worth approximately £3.7 billion to BAE Systems to commence construction of the new ships, which will replace the Royal Navy’s anti-submarine warfare (ASW) Type 23 frigates. “Backed by a rising defence budget and a £178 billion Equipment Plan, the Type 26 programme will bring vast economic benefits to Scotland and the wider UK,” said UK Defence Secretary Michael Fallon. Fallon says the Type 26 contract is structured to motivate both sides to deliver to a successful outcome so both parties share in the “pain and gain” in the delivery of the programme, which aims to deliver better value for money. The Type 26 is the first major platform to use the Naval Design Partnership structure, which took the lead through the concept phase of the ship alongside a close group of seconded industry and MoD experts. The NDP aims to promote a better understanding of the platform and a more flexible approach to the ship’s design by fostering co-operation between the MoD and industry. The UK’s Defence Science and Technology Laboratory (Dstl), says the process has resulted in a cost-effective design, with the adaptability for the ship to meet a wide range of mission types. The UK committed to eight advanced ASW ships in the 2015 Strategic Defence and Security Review. The contract for the second batch of five ships is expected to be negotiated in the early 2020s. Manufacturing contracts are in place for the procurement of major equipment for the first three ships, supporting progress to the full manufacturing programme in Glasgow. There are 27 companies in the supply chain working with the prime contractor BAE Systems to deliver the Type 26 ships, with manufacturing of the ships’ air weapons handling systems, gas turbines and electric propulsion motor and drive systems underway across the UK. 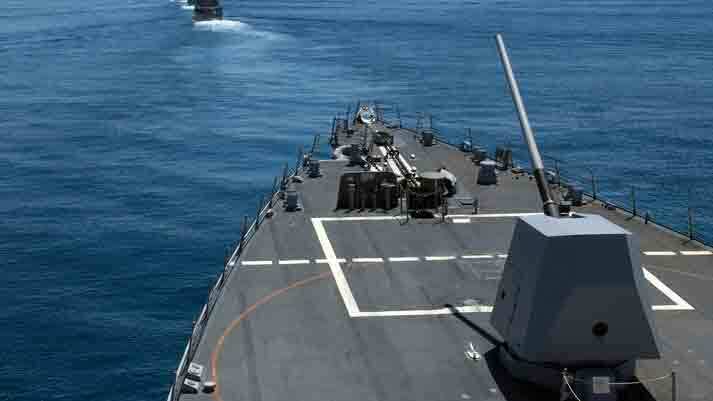 BAE Systems is also under contract to manufacture the Maritime Indirect Fires System, including its five-inch 62 cailbre Mk 45 gun, for the first three Type 26 ships. The UK MoD announced a contract with MBDA to deliver the Sea Ceptor self-defence missile system for the fleet. The MoD will explore potential export opportunities for the Type 26, where there is strong interest from international customers. Australia and Canada are said to have similar requirements to the UK Royal Navy. The Type 26 will protect the two new Queen Elizabeth class aircraft carriers, the first of which, HMS Queen Elizabeth, set sail on 26 June from Rosyth dockyards in Scotland for its first stage of sea trials. "Today there are over 500 submarines in the world operated by 40 navies. As one of the quietest and most potent submarine-hunters of any navy, the Type 26 will have a crucial role to play to protect the nuclear deterrent and our two new aircraft carriers." The Type 23 ASW frigates, which were fitted with a Sonar 2097 active towed array, spent most of the Cold War hunting the “quietest submarines” that Russia could build. Globally, however, the number of submarines are increasing and they have become a lot more stealthier. With the end of the Cold War, the Type 23 was used for other tasks it wasn’t really designed for such as maritime interdiction operations and counter-piracy. From the outset, the Type 26 is designed to perform multiple missions. In addition to ASW, it will also be able to conduct high-end warfare, including anti-air, anti-surface, naval gunfire support and deep strike with future land attack weapons, as well as tasks such as counter-piracy, maritime interdiction, humanitarian aid and disaster relief.